Rima paints and draws on wood and paper. She enjoys entwining script and image closely and loves to write rhyming stories to tell her characters' tales using forgotten words and other languages. 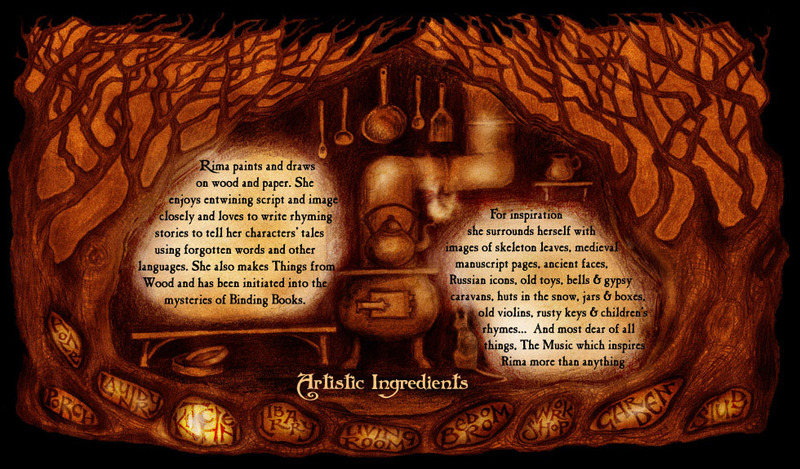 She also makes Things from Wood and has been initiated into the mysteries of Binding Books.